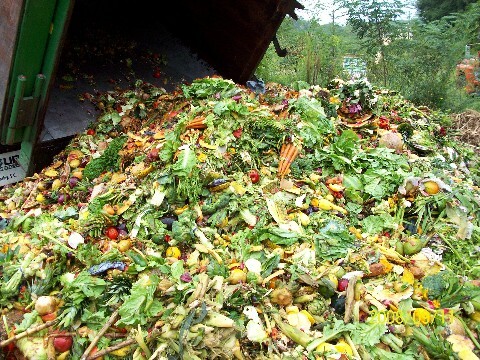 Not so long ago there were a number of headlines regarding food waste in Canada. Apparently most of this food waste occurs at the household level (about 51%). Despite this, and the statement that 11% of food waste occurs at the retail store level, I have become increasingly aware of food waste whilst working at a grocery store. Seeing how many (often still perfectly safe and palatable) foods get tossed at the store level has made me acutely aware of the extensive amount of food we waste as a result of our current food system. There are plenty of tips on how to reduce your household food waste. If you’re interested here’s a good list. I also really like how Chatelaine magazine has suggestions for how to use up extra ingredients from recipes in their magazine. I’d like to propose that you go a step beyond this and help to reduce waste at the store level. Stop trying to find the absolute latest expiration date on the shelf. I know that most of you are guilty of this, I was too. I see people every day digging at the back of the fridge to get the furthest out expiration date. Before you do this, take a moment and ask yourself, “will I be able to finish this product (with the nearest expiration date) before it expires? Even if I won’t, will I completely finish it anyway?” If you’re able to finish it then please, take the product that’s closest to coming to date. If you’re going to use it any not finish it, please, do the same. As we know, many foods are good past the expiration date. You can continue to safely consume many foods after they’ve reached that date stamp. However, stores are unable to sell them on or after the expiration date and those foods will go to waste. Just like how you’re not doing your health any favours by circling the parking lot for the spot nearest to the door, you’re not doing the environment, or economy, any favours by needlessly seeking out the latest expiration date. Tags: environment, food waste, grocery store lessons | Permalink. Thanks for making those points Elizabeth.